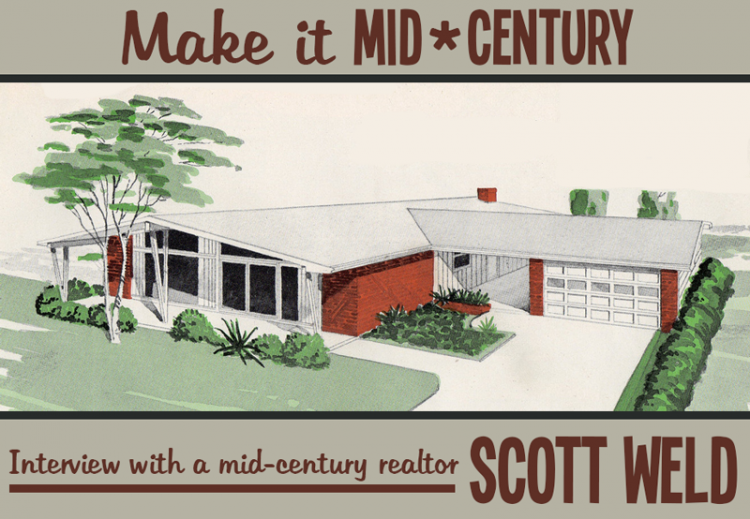 We're continuing our series, reaching out to Realtors who specialize in mid-century properties. We'll be asking questions of Realtors across the United States to see what's the same or different in various part of the country. 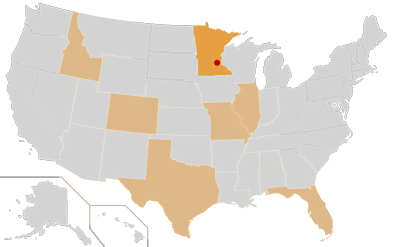 Today we're in the Twin Cities of Minneapolis / St. Paul speaking with Scott Weld of Keller Williams Realty. I've always had an interest in modern architecture. Even before I became a licensed agent, I was collecting a huge library of books about the architecture, the architects themselves and the differentiating styles of modern design throughout the different decades. Another reason I decided to specialize was that I realized early on that very few agents were tapping into this very lucrative market. I immediately launched my website TCModern.com once I became a Realtor. I work with clients interested in all styles of residential architecture. My goal is to build my business to the point where all I have time for are clients needing help buying and selling modern and mid-century properties. I primarily concentrate on residential properties. The years I consider to be mid-century vintage are from 1945-1965. The climate here in the Twin Cities is very strong for mid-centuries. However, because of the severity of our winters, we do not exactly have what one would consider a great deal of inventory. The desire for these properties in our area is continually growing. I believe the age range for mid-century will stay where it is. As time goes on so does the style of modern architecture. For instance, I live in a modern home from the mid-seventies. There are five different floor levels in my home because as land became more expensive and our communities became denser, we started building up instead of spreading out like many mid-century homes are built. Yes. Most of our mid-centuries have basement levels because that's what mid-westerners like. Also, we have a great deal without flat roofs because they are problematic here with all of the snow that we get during our fall and winter months. Usually, it's the second or third home for most buyers due to the price ranges. The typical owner is design-oriented, an architect, someone involved in the arts or a creative entrepreneur. Ralph Rapson taught architecture here at the University of Minnesota and influenced a great deal of mid-century enthusiasts throughout the area. The usual. Ample windows and open floor plans, with the intention of opening up interior spaces and bringing the outdoors in. That is a very tough question. I have not run into that scenario personally yet, so I'm not entirely sure, but I usually do as my clients say. If my client decides not to accept an offer from someone that wants to tear it down than so be it. It's unfortunate, but this does occur. However, it happens less and less now that mid-century design is much more in the mainstream vernacular. I can refer contractors and architects to my clients that may need to deal with a house that had some unfortunate work done to it. My favorite story is one that continues to happen over and over again. I often get contacted by mid-century homeowners who have already tried getting their home sold by agents who do not have any experience in this market. They are usually quite frustrated due to their house lingering on the market too long. I love applying the proper marketing strategies for these special properties and getting their home sold in a timely fashion and at the right price. These clients are extremely happy to finally be able to move on. Here in Minnesota, only about 5% of the population is into modern architecture, so it is terribly important that you use an agent that knows how to market to the correct audience for this architecture. My favorite mid-century architects include Richard Neutra, Marcel Breuer, John Lautner, Pierre Koenig, A. Quincy Jones and Rudolph Schindler. Not quite. I live in an architect designed, multi-level modern home built in 1975. 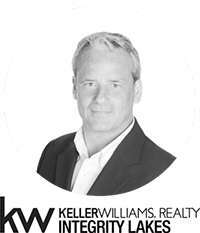 Many thanks to Scott Weld of Keller Williams Realty for willing to be interviewed. In the Twin Cities and interested in working with Scott? You can find him on his website, Twin Cities Modern Homes.